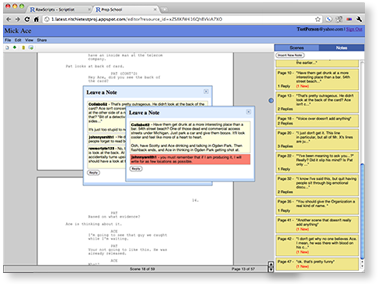 Free, online screenwriting software. Screenplays are private, secure, and accessible from any computer. Go ahead and try out the demo! Click To Try The Online Application.